Dr. Kimmerer is a mother, plant ecologist, writer and SUNY Distinguished Teaching Professor at the SUNY College of Environmental Science and Forestry in Syracuse, New York. 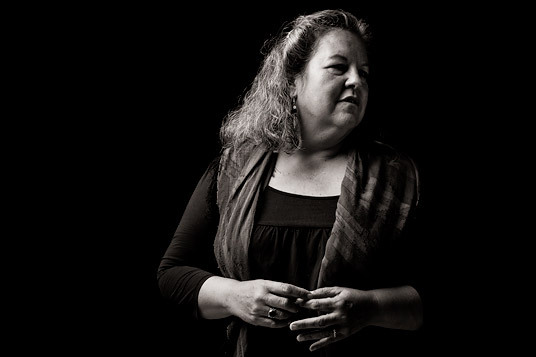 She is the founder and director of the Center for Native Peoples and the Environment. Kimmerer’s research interests include the ecology of mosses and the role of traditional ecological knowledge in ecological restoration. In collaboration with tribal partners, she and her students have an active research program in the ecology and restoration of plants of cultural significance to Native people. She has developed university courses in aspects of botany, ecology, ethnobotany and Native American Natural Resource Management, as well as a seminar in application of Traditional Ecological Knowledge to conservation. She is active in efforts to broaden access to environmental science training for Native students, and to introduce the benefits of traditional ecological knowledge to the scientific community, in a way that respects and protects indigenous knowledge. Robin Kimmerer: There was an experience which really set me on the path to becoming a botanist. And that was that I loved the way that... Do you know New England aster? New England aster and golden rod always grow together. One is this gorgeous purple with in the center is just the color of golden rod. What really propelled me to become a botanist is that I wanted to know why golden rod and asters looked beautiful together. But then, when I went to study botany at the university, they told me very quickly that that was not a science question. That was an art question. That I should look elsewhere for that. In fact, I should really think seriously as to whether I wanted to be a scientist if that's how plants interested me. So that was very formative for me in thinking about these two ways of knowing, in knowing about both traditional ecological knowledge and the indigenous perspective that I'd been raised in, and the scientific perspective and also the perspective of a foot in science and a foot in art. I actually think that that golden rod and asters experience has been one of the most profound ones in my profession as a naturalist and a professor, is trying to reconcile those two worlds.